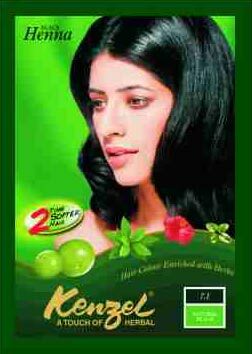 The Kenzel Black Henna Hair Color is known for being a balanced blend of herbal extracts with colorants. The Black Henna Hair Color evenly covers the grey hair and restores natural shade of the hair. The company offers the best Black Henna Hair Color at the best prices on a timely basis.